Grey Matter Art will be releasing another print in its classic Marvel Origins Screen Print Series by Dave Perillo this weekend at New York Comic Con 2017! 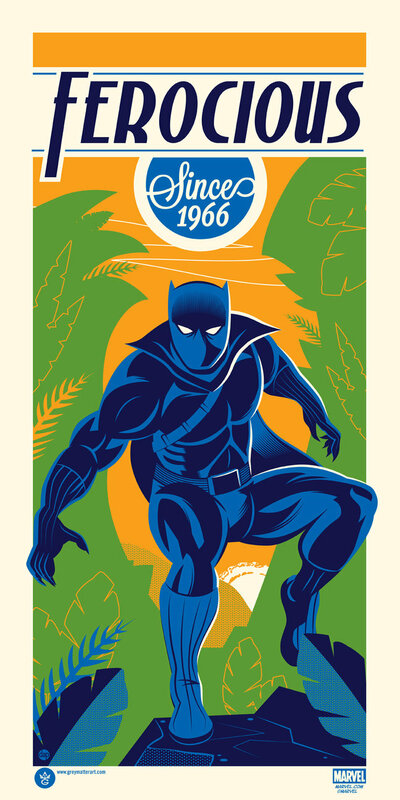 Just in time for his upcoming live action film comes the Black Panther “Ferocious Since 1966” screen print. 2018 is looking like it’s going to be all about T'Challa, the king of Wakanda, and fans will not want to miss out on this killer print. Black Panther: Ferocious Since 1966 by Dave Perillo is a 12”x24” hand numbered Marvel screen print. 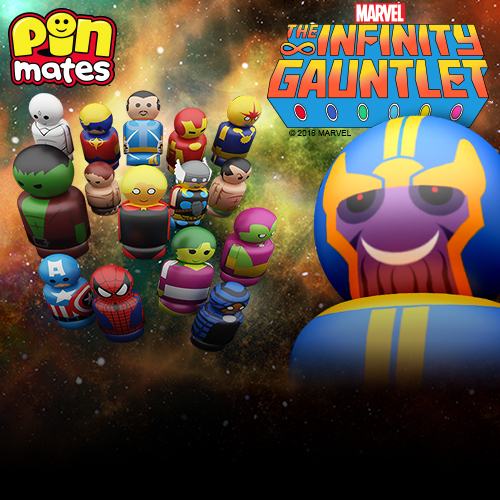 Limited to 150 pieces, the poster can be purchased at the Grey Matter Art NYCC booth #3064 for $40. Any remaining posters will be available at GreyMatterArt.com after the convention.